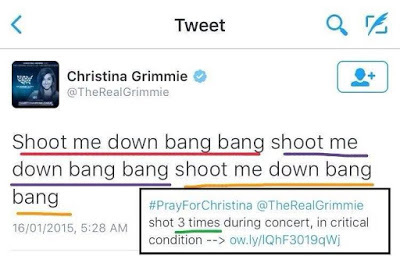 Is Christina Grimmie's Death a Premonition to Herself? Sounds Creepy! 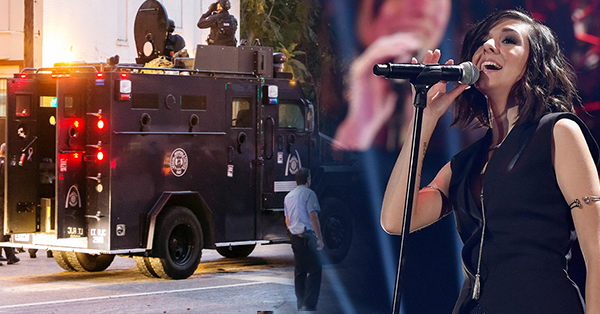 Lots of people, especially the fans, are now extending their condolences and sympathies to the late young singer celebrity Christina Grimmie after being shot many times during her concert in Orlando, Florida. However, a post from her Twitter account is now circling online which made her followers stunned and surprised which it seems that her death was her premonition. Grimmie was in the sixth season of the voice under team Adam. She got the third place in the competition before winner Josh Kaufman and runner-up Jake Worthington. Another thing is, a lot of the songs she covered and wrote were talking about guns, death, sadness, etc. Titanium, Hello, I Bet You Don't Curse God, and more. I never tried to find things like this out of her songs, and I was extremely freaked out when I did.. It's almost like she knew, or like it was a sign..